It's arguable that this list is less ambitious than last year's, but it's only because I don't honestly know what will happen in 2012! 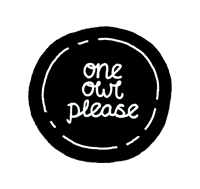 That and I intend to continue to uphold last year's resolutions regarding work and developing One Owl Please. 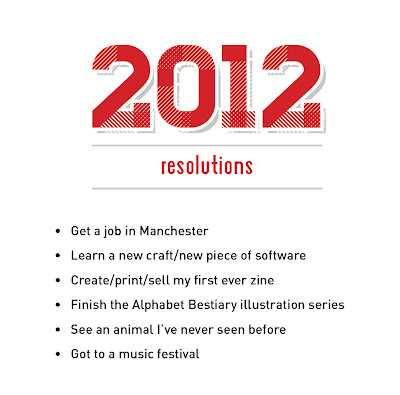 Here are 2011's resolutions. I think I did quite well! I've been working freelance all year, I got to work with some cool local (and not so local) businesses and studios. This year I visited Morocco and Berlin. Both equally beautiful and fascinating places! Depends what I considered a ‘big’ company when I wrote that one. I provided work for Pictoplasma’s Paris exhibition so I class that as pretty ‘big’. Nope, still too chicken. Maybe this year..
Again it all depends on what I considered to be 'popular'. My followers have more than doubled on here, twitter, facebook, etc, in 2011 so a big thank you to all of you for making this happen, I hope you continue to enjoy my work. I reckon that if we continue things on, lessons we learnt from the year before lists are ultimately infinite, but adding to them gives us extra vigour & motivation . . . sometimes. I whole-heartedly agree! Happy New Year! All blog content © Sarah Cowan 2013. Powered by Blogger.